I finally finished a pair of socks I've been working on for a couple of months off and on. I used Socks a la Carte to choose techniques for casting on and turning the heel. My son asked for a cozy, loose fitting pair for lounging. I used a beige heather alpaca worsted I had spun last year with fleece from my mom's alpacas. 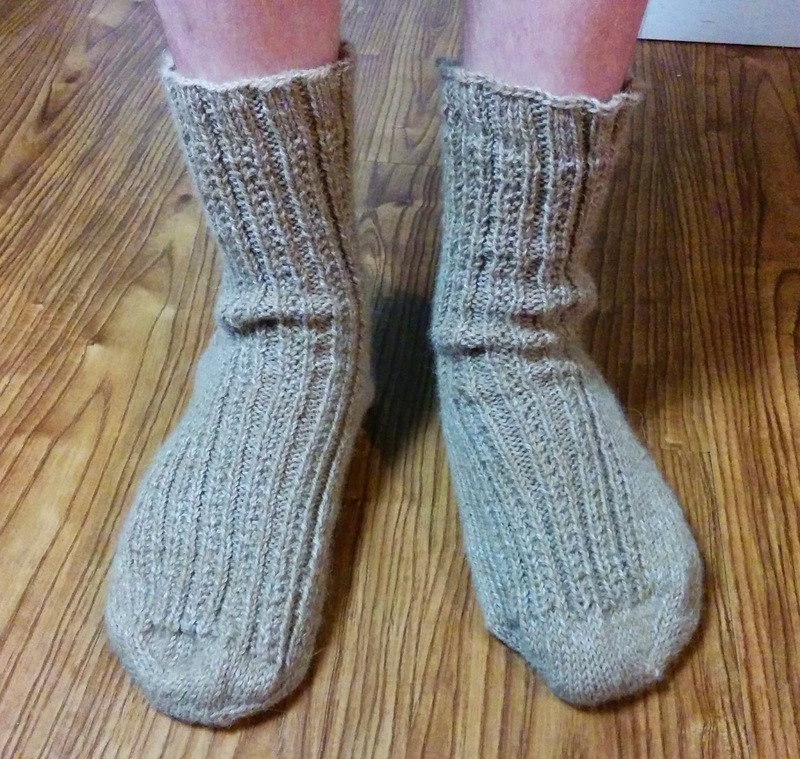 This is the second pair of socks I've knit toe up using the figure 8 cast on method. I love the seamless toe this method provides. I wasn't very happy with the semi-short row heel, however, because the heels are a bit baggy. But my son is quite pleased and likes the Perle du Cotes pattern. It's actually a cuff pattern, but I wanted a subtle texture. I knit the cuffs in k3p2 for about an inch.